Elazar made aliyah in 1996 from Los Angeles, and went to work performing Dixieland jazz on his banjo, trombone, trumpet, tuba, and washboard. He is the founder ​and leader of the Doctor Jazz Dixieland Band, who have performed in Jerusalem's Hutzot Ha'Ir, Hamshushalayim and Autumn Nights events, and are regular entertainers at weddings, concerts and parties throughout Israel. They are known for commiting senseless acts of simchah in Sderot, Hevron, recently in the Gaza perimeter, and in Jerusalem's own Midrechov. Elazar also performs regularly with the Stompers Dixieland Band, and he played banjo in the Jerusalem Symphony's tribute to George Gershwin's 100th birthday. Elazar met David Kilimnick in 2006 on a trip to Israel's northern border to entertain people in shelters during the Second Lebanon War. 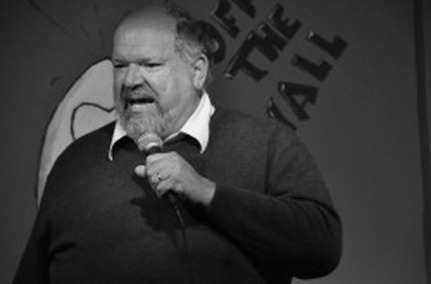 He has been a regular at Off the Wall Comedy Basement's open stage from the beginning. He also does a Jazz Nite show there, featuring banjos and comedy in the tradition of vaudeville. Elazar was on stage for the first time as an actor, playing Samuel Chase in 1776. He played cornet in the JEST production of She Loves Me. Elazar has produced 2 CDs: Doctor Jazz's Ben Yehudah Street Parade and his own solo album Blowing My Own Horn. He has recently married his lovely bride Krina, who is also graces the open stage occasionally. When not performing, Elazar works freelance, editing and formatting books and documents for publication. Since 2001 he has worked as a Biblical Hebrew consultant with Bible translators, including working with local translation teams in India and Africa.